As a songwriter, you need the SonicPort VX mobile recording interface from Line 6 for those moments when inspiration strikes. Simply plug it into your Mac, PC, or iOS device and instantly have all the tools you need to get great, pro-quality multitrack recordings, no matter where you are. 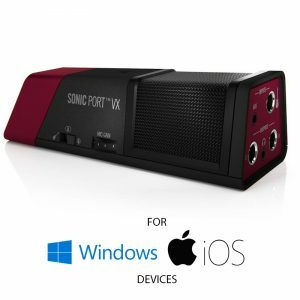 The SonicPort VX gives you the connectivity called for when collaborating, including stereo inputs and outputs. But what if it’s a group jam you want to record? Line 6 took care of you by integrating studio-grade mono and stereo condenser microphones into the SonicPort VX, giving you an extremely convenient recording solution. With onboard microphones and input connectivity to handle stereo and instrument signals, mobile multitracking has never been easier. 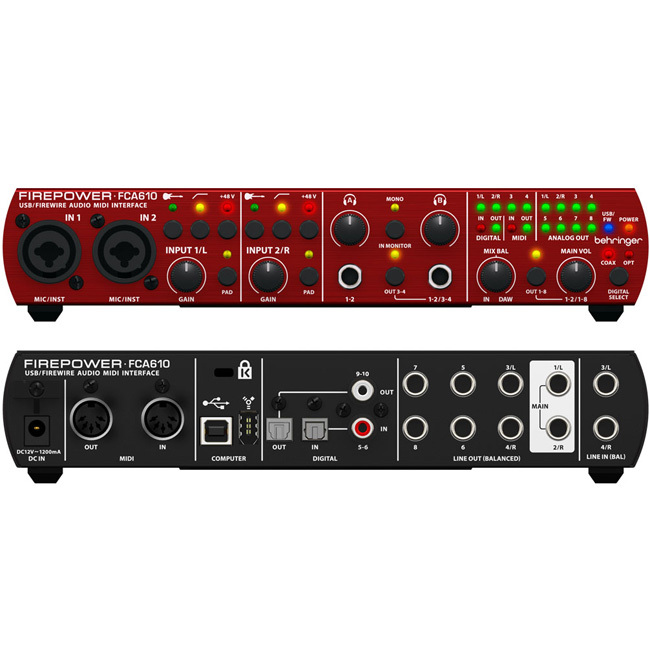 You get a stereo 1/8″ input and 1/4″ instrument input to record drum machines, guitars, and keys, straight into your DAW. When it comes time to lay down vocals, use the included mounting hardware to attach the SonicPort VX to a mic stand, put the input switch into mono mic mode, and you have a traditional vocal recording setup. And talk about an easy way to record choir rehearsals, drum circles, and group jams – connect to your DAW, change the input selector to the stereo mic setting, and capture the whole room in one easy step without a ton of mic cables! 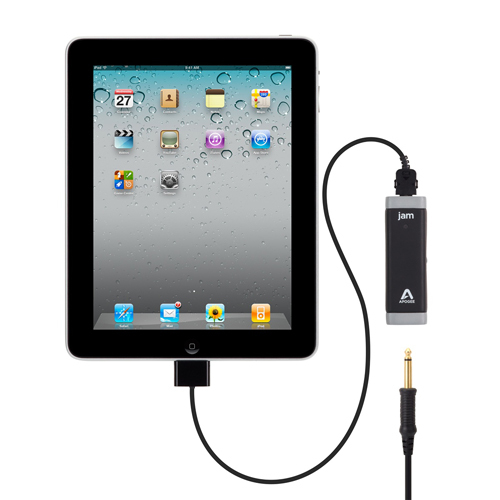 No mobile recording tool would be complete without giving you a way to hear what you’re doing. When you’re recording, you have a headphone output with a direct monitoring switch that allows you a latency-free recording experience. 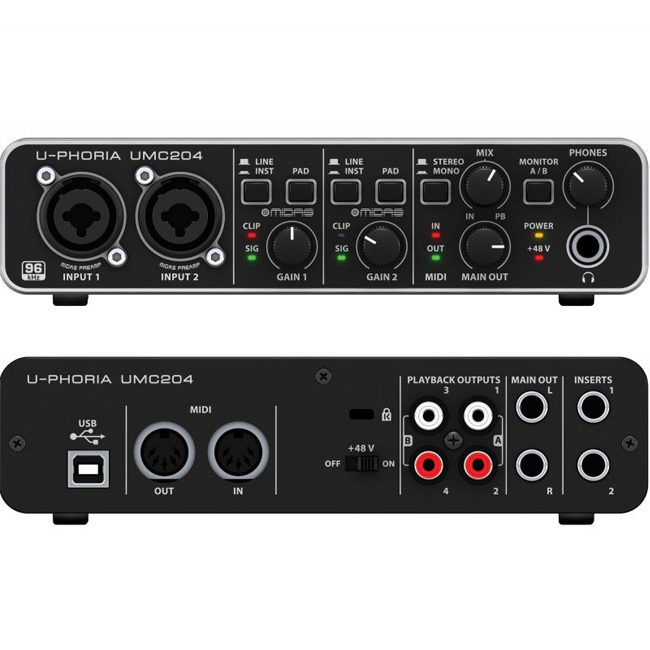 You also get a set of stereo outputs that are perfect for mixing your tracks at home with your studio monitors. True to its name, the Mobile POD app serves up a never-ending palette of tone, covering much of what has made POD a household name. Specifically, the Mobile POD app hooks you up with 32 legendary amps plus 16 cabinets to match, all on top of a collection of 16 classic stompbox effects. In total, you have a library of over 10,000 killer guitar tones waiting for you the moment you hook up your Line 6 SonicPort VX. Convenience, flexibility, and great sound in a mobile package – the Line 6 SonicPort VX! 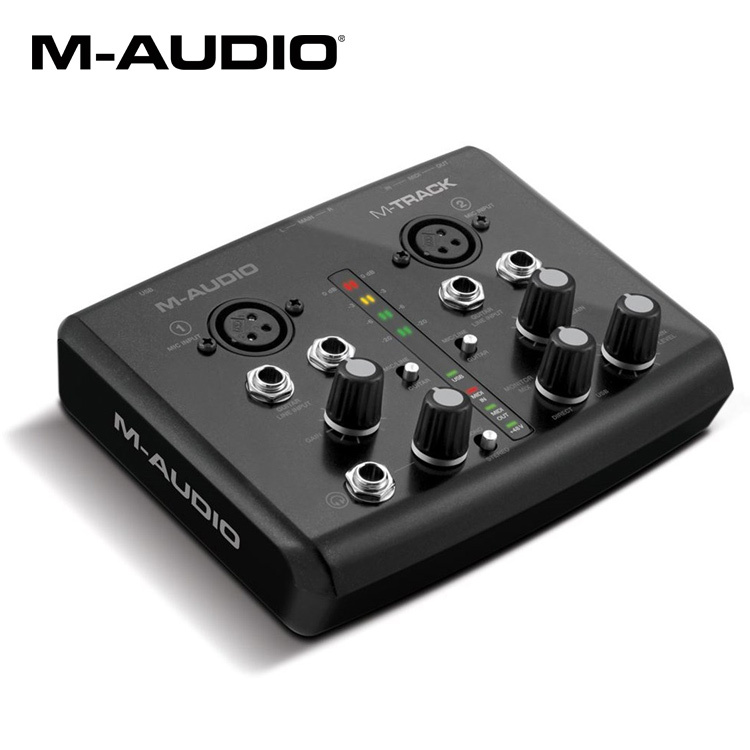 The M-Track from M-Audio is a two-channel portable USB audio and MIDI interface that is designed to work with virtually any DAW or music production software.